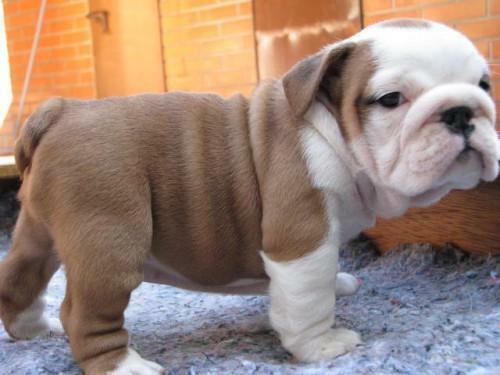 Bulldogs were originally bred in England and used in bull baiting, hence the name. The breed is also known for its stamina, strength, speed, intelligence. Many came with their owners when North America was being colonized. Bulldogs are steady and dignified, with calm dispositions. They form strong bonds with children while being gentle and protective. They also have a strong sense of dedication to their families. Some dogs form bonds with other animals, in addition to humans. For four kittens, their bond with an English Bulldog named Napoleon saved their lives. The kittens, their bond with an English Bulldogs named Napoleon saved their lives. The kittens, along with two others who did not survive, were in a burlap sack when it fell into a lake. Despite being genetically predisposed to have difficulty swimming, Napoleon swam out into the lake and brought the bag back to dry land.